Whilst it's always lovely to see established models like Natasha Poly, Karmen Pedaru, and Raquel Zimmermann booking campaign after campaign each season, every now and then it's nice to see casting directors taking a leap of faith in a newcomer. Valentino's campaign shot by the amazing Deborah Turbeville, features four of modellings up-and-coming talent; Bette Franke, Fei Fei Sun, Maud Welzen and Zuzanna Bijoch. 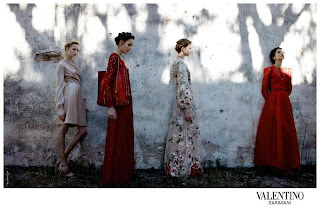 Turbeville's enigmatic photographic style perfectly captures the romanticism and mysterious ethereal-like beauty of Valentino's Spring/Summer 2012 collection. Each of the four models is uniquely beautiful and possesses that indefinable star quality that is campaign worthy. Hervé Leger enlists photographer Camilla Akrans to capture the exquisite beauty of former America's Next Top Model alumni Fatima Siad for its Spring/Summer 2012 campaign. Siad looks every bit the warrior goddess in a gladiator inspired bandeau dress whilst posing alongside a white horse. The Somali-Ethiopian model has more than earnt her stripes, having branched out on her own in the modelling world, turning heads at the recent Spring/Summer 2012 collections with appearances at Hermés, Dries Van Noten, and Andrew Gn. Chinese newcomer Xiao Wen Ju scores the campaign coup of the season with an only girl slot for Marc Jacobs. 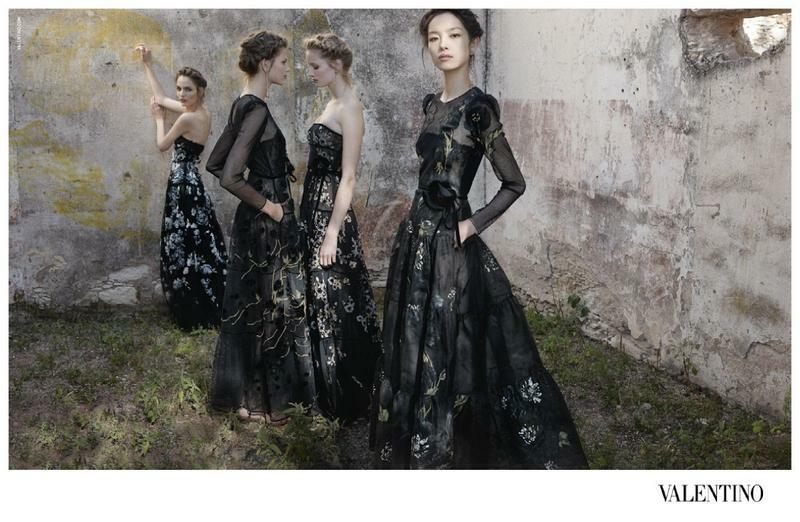 The designer enlists twenty year old Wen Ju to be the first Chinese campaign star for the prestigious label. The Xian native represented by IMG Model Management has been modelling for only a year and has already appeared in Love, American Vogue, French Revue de Modes, V Magazine and Interview. 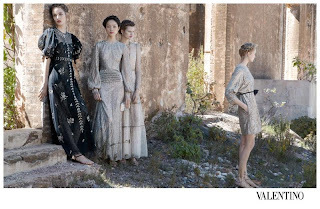 Wen Ju's wide set eyes, doll-like features and petite frame bring a freshness and an element of surprise to the Juergen Teller lensed campaign images. Wen Ju was hard not to notice at the Spring/Summer 2012 collections where she walked for the likes of Louis Vuitton, Loewe, Dsquared2, Missoni, Anteprima, DKNY, Rag & Bone, 3.1 Philip Lim, Cushnie et Ochs , Peter Som and of course, Marc Jacobs.